Engine Lubricants There are 8 products. 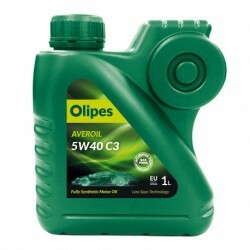 High quality Fully synthetic lubricant oil formulated with state-of-the-art additives specially designed to extend the life of existing emission reduction systems in diesel and petrol vehicles. 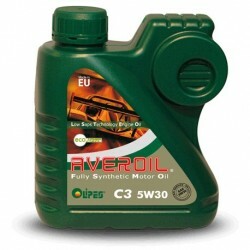 Averoil 5W30 C3 is a fully synthetic lubricant oil of high quality, formulated with last generation additives LOW SAPS specially designed to extend the life of existing systems to reduce emissions in diesel and gasoline vehicles. Energy conserving fully synthetic Low Saps engine lubricant, fully compatible with DPF / FAP diesel particulate filters of exhaust aftertreatment systems. 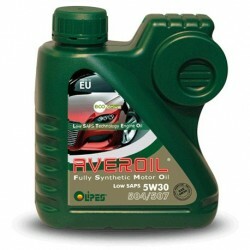 Averoil 5W40 C3 is a high-quality 100% synthetic lubricant, formulated with state-of-the-art low-ash additives (Low Saps), specially designed to prolong the life of the present emission reduction systems in diesel and petrol vehicles. Synthetic base motor lubricant (semi-synthetic). Recommended for all pre-2008 diesel and petrol engines, or even later if they are not fitted with diesel particulate filters (DPF / FAP), in severe driving regimes and in competition. Long-lasting multigrade mineral engine lubricant. 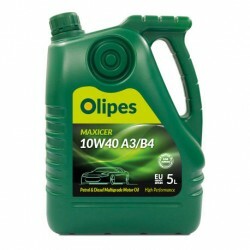 Recommended for all pre-2008 diesel and petrol engines, or even later if they are not fitted with diesel particulate filters (DPF / FAP), in heavy duty conditions. Multigrade mineral engine lubricant recommended for pre-2004 Euro I and Euro 2 engines (GTI, TDI and natural aspiration), subject to very severe conditions in taxis (diesel, petrol, fuelled by LPG or Ethanol), ambulances, vans, commercial vehicles and passenger cars. 10W40 engine lubricant. Recommended for all pre-2008 diesel and petrol engines, or even later if they are not fitted with diesel particulate filters (DPF / FAP).